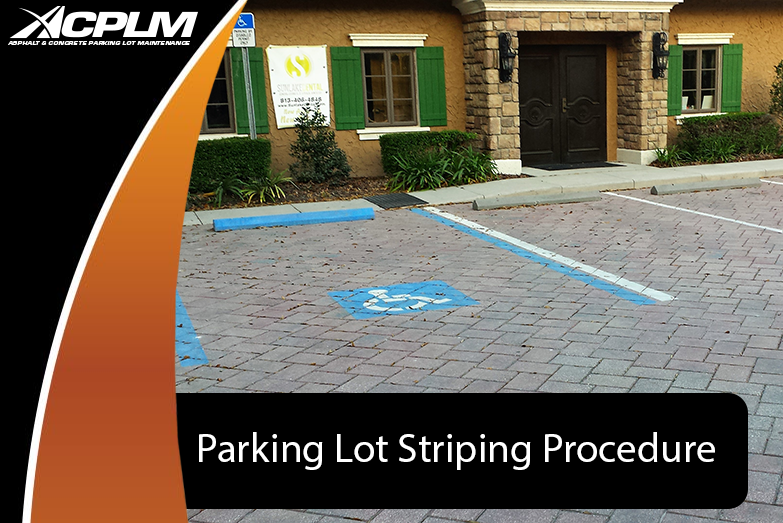 Parking Lot Striping Procedure - Call ACPLM 888-959-9637 Today! Parking lot striping gradually fades as time goes on. 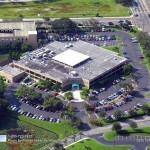 If your parking lot striping is faded or flawed do not hesitate to have it repainted. Parking lot striping that is clearly marked and contrasts with the color of the pavement will keep vehicle and pedestrian traffic orderly. 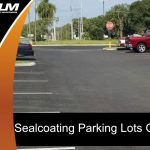 If customers and employees are left to interpret faded line markings, the parking lot will prove that much more hectic and dangerous for everyone. 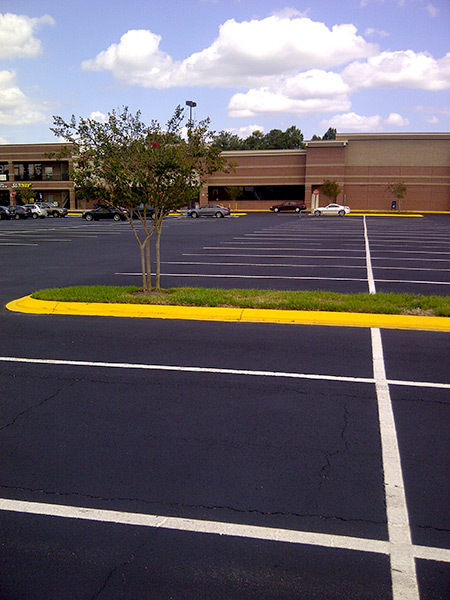 Painted arrows prominently featured along the pavement are especially important for large parking lots. Don’t forget about loading spaces. 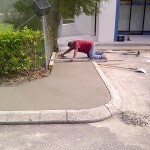 Even fire lane markings will fade in due time so be sure to refresh these often-neglected spaces. 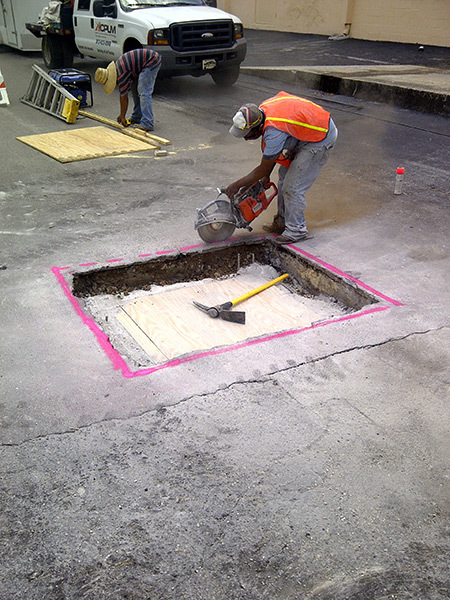 The best possible line striping is predicated upon filling all asphalt cracks and potholes. 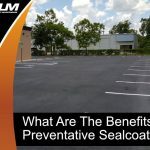 Tampa parking lot surfaces should be sealcoated so they do not endure damage from the sun, snow, rain, gas drips, oil, and so on. 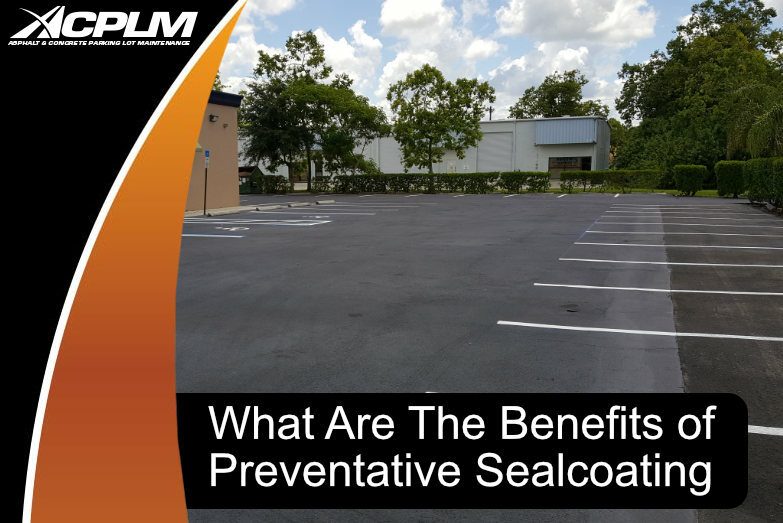 If there are any obstructions in your lot that might get in the way, they should be removed prior to new paint applications being made. 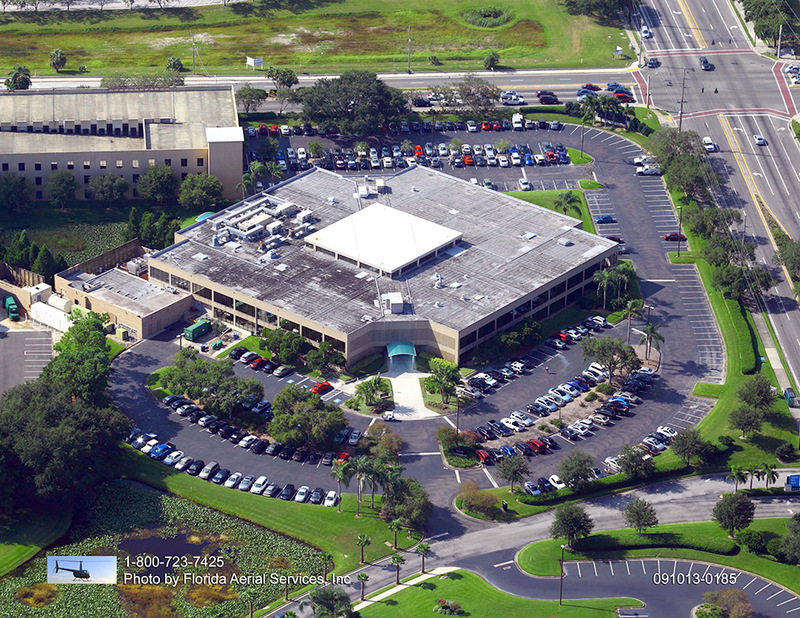 Employees, customers, and other visitors will have to park somewhere else the day your parking lot lines are painted. Once all the vehicles are out of the lot, striping can begin. The paint should be given a full hour to dry before anyone is allowed to park in the lot. It will also help to put up a few signs directing drivers to park in the adjacent lot. 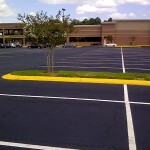 If your parking lot has any debris or dirt it should be swept away prior to the application of parking lot striping. 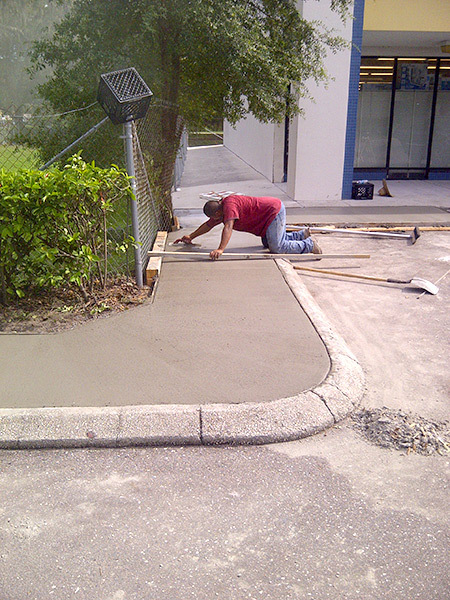 Some go as far as having the space professionally swept to ensure the new parking lot striping looks amazing. 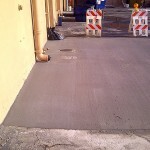 Paint cannot be applied to the surface of the lot unless it is fully dry. If you have a sprinkler head near the lot, make sure the system is off. 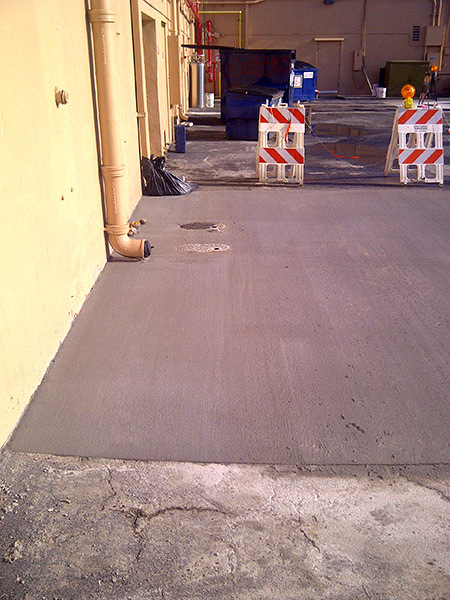 Ideally, this space will be dry for at least 12 hours prior to the point in time at which painting occurs. Furthermore, if the lot is damp and there are trees blocking the sun’s rays, it will take some extra time for the pavement to completely dry. This is not a time to rush. 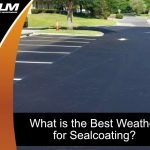 All water must be completely evaporated prior to the application of new striping to ensure it looks clear. 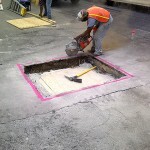 ACPLM is the experienced asphalt maintenance and repair team you need for line striping projects. 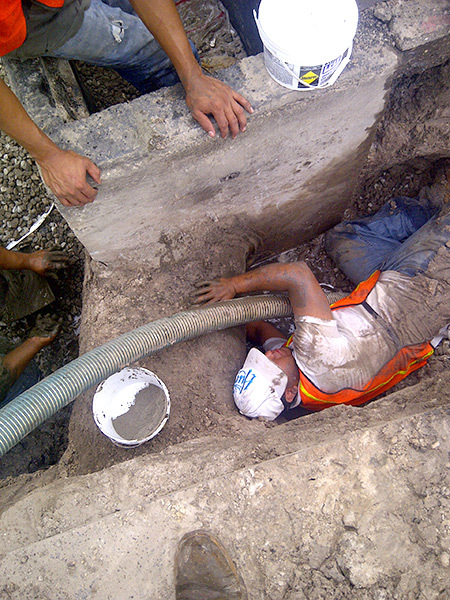 Let us analyze your lot, surpass your expectations and help your property reach its potential. 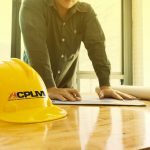 You can contact ACPLM at 888-959-963 to schedule a no-cost consultation.